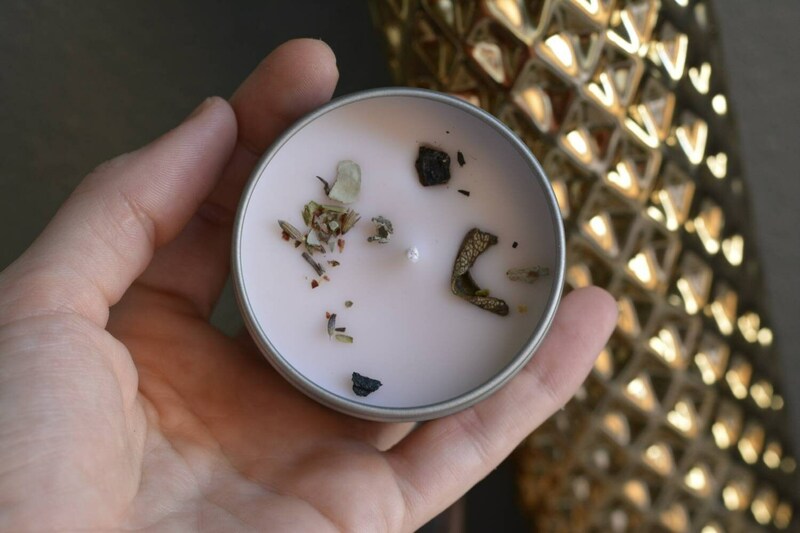 4 oz Natural Soy Crystal Smudge Candle. 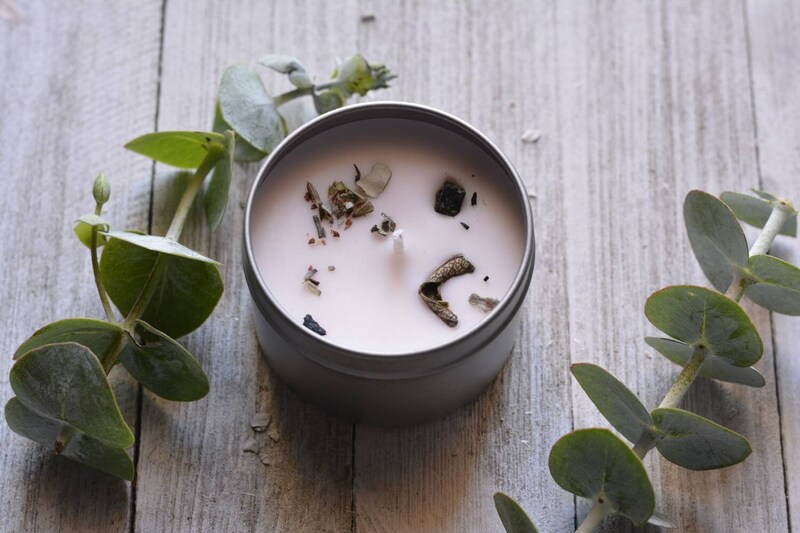 With Black Tourmaline and a blend of cedar, sage and herbs. 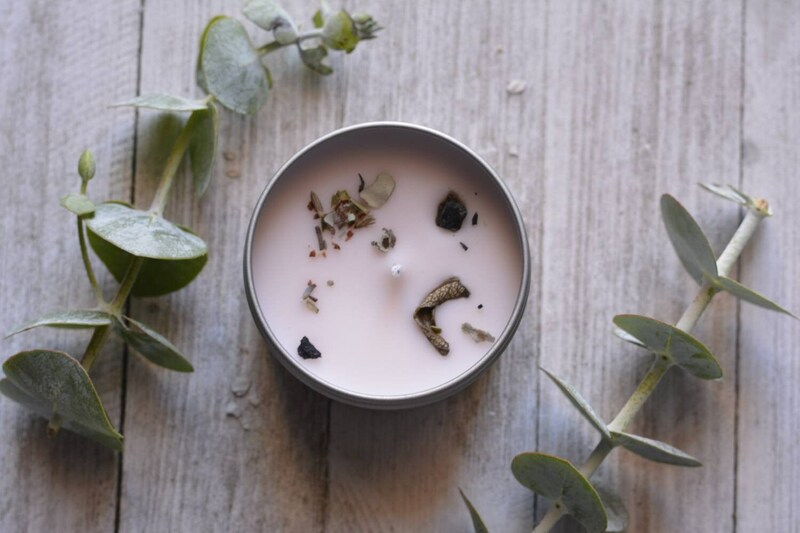 Scented with a special lavender and sage blend. 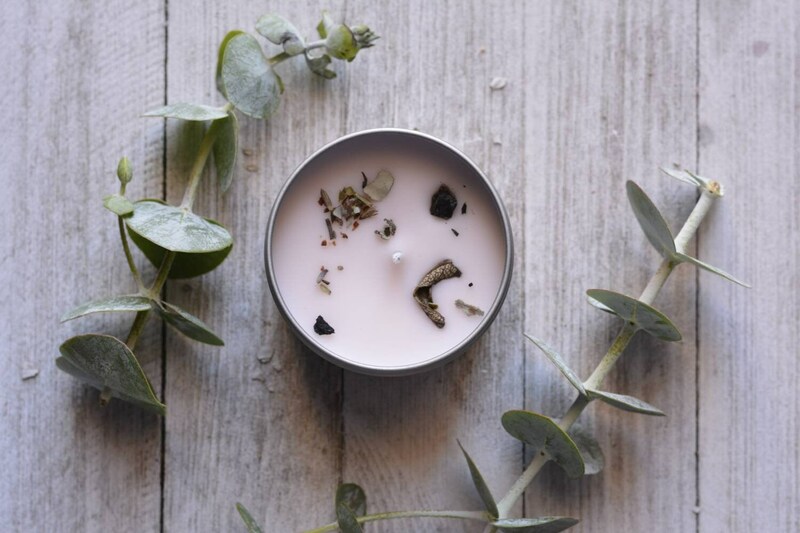 Cleanse your space and bring in positive energy with this smudge candle. 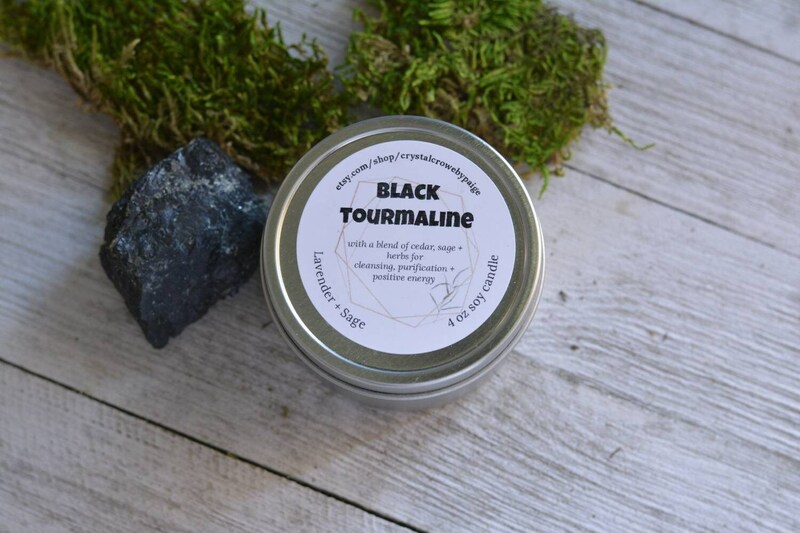 Black Tourmaline is a powerful protection crystal for clearing out negative energy and bringing in the positive vibes.